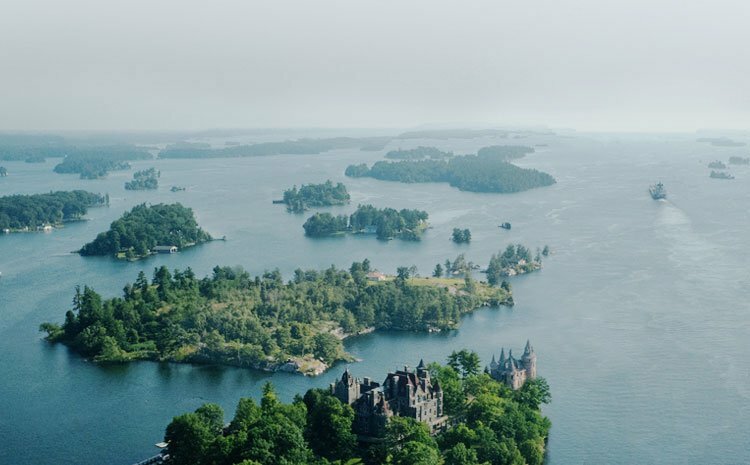 The 1000 Islands is ready for its close up – again. 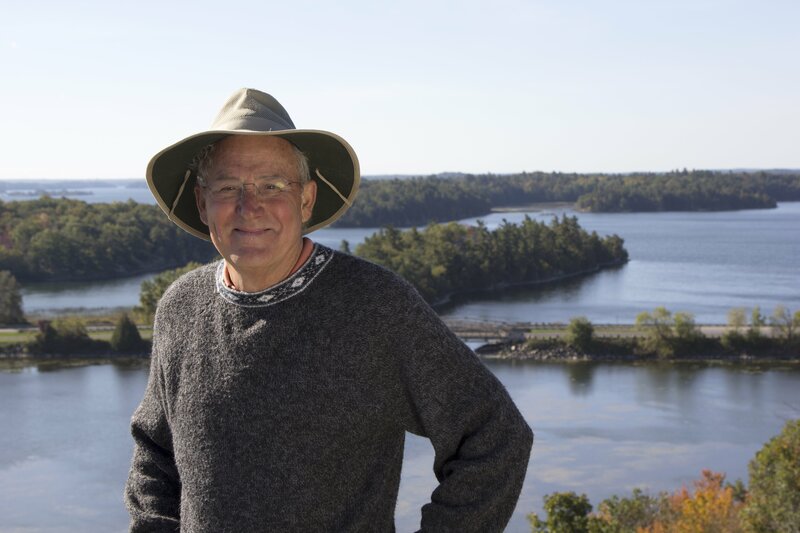 A travel documentary which filmed and featured the 1000 Islands last summer is one episode in the season recently nominated for major accolades. Joseph Rosendo’s Travelscope, Season 8, is nominated for two Emmy Awards at the Creative Arts Emmy Awards Ceremony on April 29, 2016 in Los Angeles. The National Academy of Television Arts & Sciences announced at the end of March, that the series on PBS was nominated for the 43rd Annual Daytime Entertainment Emmy® Awards. Joseph Rosendo’s Travelscope® received two nominations for the season which included exploring the 1000 Islands: one for Outstanding Cinematography and another for Outstanding Sound Editing – Live Action. 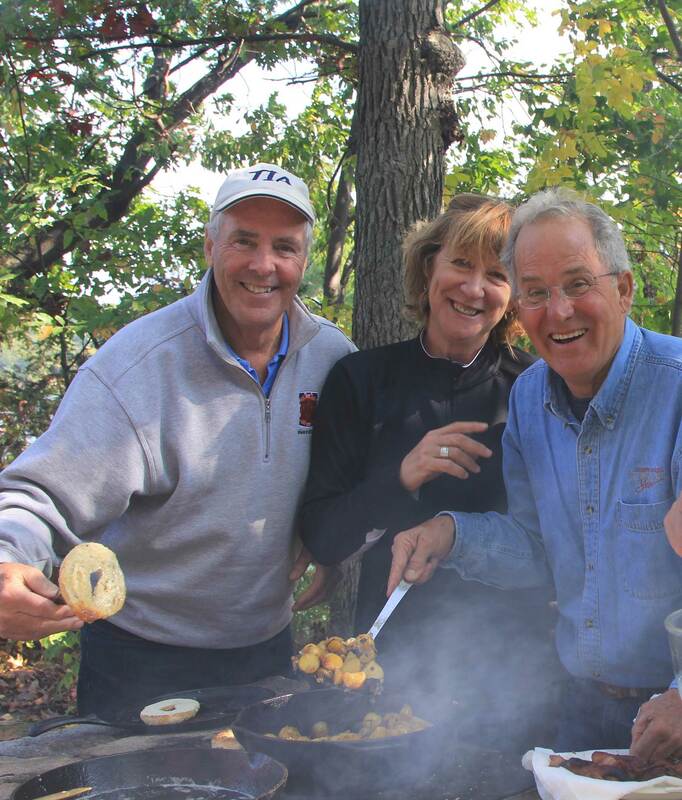 Kathrine Christensen, executive director of 1000 Islands Tourism, said she was thrilled with the show being an episode of the nominated season. 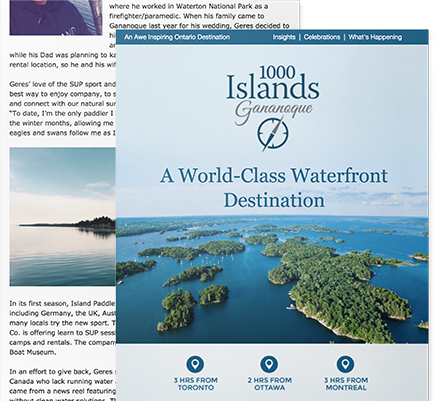 “It further illustrates how extraordinary the 1000 Islands region is and once again puts our piece of paradise on an international stage,” she said, noting that the Travelscope crew was amazing to work with and produced an exhilarating product capturing the intrigue and authenticity of the 1000 Islands and St. Lawrence River experience. Rosendo said the idea to highlight the 1000 Islands stemmed from attending the Canadian Media Marketplace in 2014. “Although I had long understood the scope of the touristic treasures of Ontario and had previously covered the province extensively for my radio and television shows, my interest was revitalized when we met Ian McMillan of Sault Ste. Marie and Kathrine Christensen of the Thousand Islands,” he said. 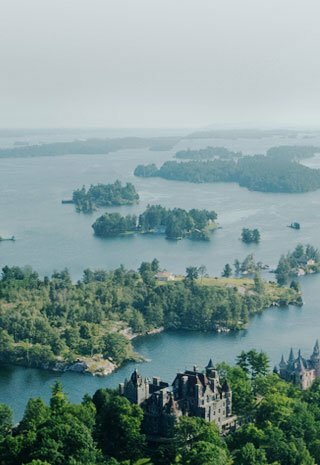 The 1000 Islands episode shows Rosendo cruising with Gananoque Boat Line and exploring two UNESCO sites: the Rideau Canal and the Frontenac Arch Biosphere . From a unique culinary perspective, the show featured grinding grain and baking bread at the Old Stone Mill National Historic Site in Delta, whipping up Thousand Islands dressing in the Boldt Castle kitchen, fishing and enjoying a shore breakfast, sipping beer at the Gananoque Brewing Company and savouring the Gananoque Farmer’s Market with all their vendors and performers. The show also explored the river culture of the 1000 Islands region by kayaking with 1000 Islands Kayaking; discovering The Arthur Child Heritage Museum and the Thousand Islands Boat Museum with a row in an authentic 1000 Islands skiff, and visiting our waterfront theatre the Thousand Islands Playhouse. Christensen said gratitude goes to funding partners including RT09, The Great Waterway, the Township of Leeds and the 1000 Islands, United Counties of Leeds and Grenville, 1000 Islands International Tourism Council and Boldt Castle. In addition, she praised the many volunteers and staff that gave their all to showcase the region. The winners will be announced April 29 in Los Angeles and Christensen will attend as a guest of Travelscope. Learn more about the 1000 Islands episode of Season 8 here: travelscope.net/1000islands. Discover the 1000 Islands by visiting www.1000islandstourism.com.